"... there will be no changes to the tracklisting from the original album releases, and no bonus tracks added... there are no current plans for any of Jean Michel Jarre's previously released videos and DVDs to be re-released on Blu-Ray, and this includes any previously unreleased footage. There are also no current plans for any major concerts to take place this year..."
I hope they finally fix the mastering errors on Images and Chronologie! Being a fan of jarres music since oxygene I'm expecting his new album to be better than teo n tea every time I listen to it I get a sense that he knocked it together over a weekend. One thing I would say about Teo & Tea is that it was a surprise, I guess a surprise to most too. Although it did have some fantastic tracks I guess it just did not sit comfortably with what we yearn for in Jarre, his typical style and album format. Perhaps he was just trying to broaden his appeal to the next generation of listeners and stretch himself? Anyway I do hope that he will return to his original formula but with a new modern twist. I still listen to Equinox and Chronologie the most and they have been in the car in one format or another for the last 20 years! Seriously considering collecting the remastered versions now, but only in a digital download format on offer as I have the originals and don't want to spend too much again! New remasters are generally under expectations. They sound over-saturated with much background noise. There are nice moments of course - they sound much more detailed, at the same time in some moments, where it should be softer, it sounds like a frequency porridge. The sound is notably louder than before "as we like it". I didn't listened to all of them completely yet, but here are my thoughts on some of their problems. Equinoxe begins with a very loud background noise under pads, its level is same for whole album. I didn't notice any problems in first listen, except for different sound of second half of Part 8. Looks like original master record is not very good in this place and its artifacts sound different in 1997 edition and this one. I can tell, which is better, they are both not fine. But personally I like the 1997 variant that anyway sounds more open in whole. Magnetic Fields I listened the most attentive and it has no obvious problems, a little too much background noise in Part 5, but generally it is the best of three. At the same time it doesn't provide so much of new details comparing to 1997 edition and two above. 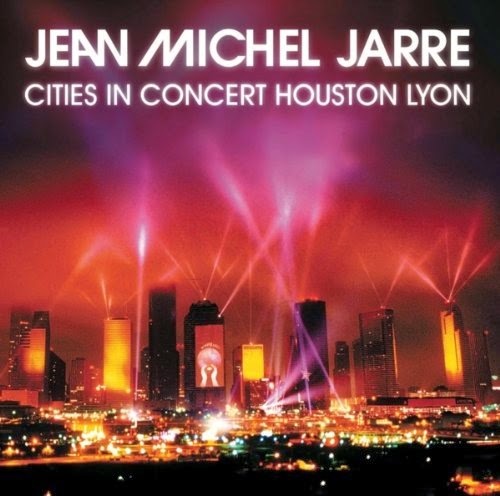 Cities in Concert Houston Lyon - not listened yet, but the first thing is seen - it has old tracklist of 48 minutes from "In Concert" 1987 edition, not the expanded 71 minute 1988 version that was really called "Cities in Concert" and then it was remastered in 1997. As I remember this version is rather different from 1987 edition (that had 16 separate tracks, here they are glued into 10) and some of tracks are completely different recordings (from different concerts), also different transition effects between tracks. This is not replacement fro 1997 nice remaster. I don't have Destination Docklands yet. No matter that 1997 remasters had some small flaws, I prefer them over all other editions. They were really done with much soul, if you remember they all had words from Scott Hull in booklet. It was done in 1997, when the technology of mastering was not so great as today. The strong point in new remasters - they are made with modern hardware/software that makes most of the tasks a simple game in mosaic (tell you as mastering engineer). Dave Dadwater is careless and indifferent engineer, who had done the inaccurate work. Damaged the original dynamics and balance, and much more - the mystic atmosphere. Previously there was information that JMJ remasters albums himself beginning from Zoolook, but that looks to be only for Essentials compilations. This could be much more interesting to hear in whole. To add to above about Cities in Concert and The Concerts in China that was also a part of the first wave of releases. This one is something different, most likely because original recording is initially better, without much artifacts, some small volume walks are heard on 1997 edition also. Here I should say that it is already a question of taste. New edition provides much more detail than any previous, but lacks mysterious atmosphere and dynamics, but at a least I didn't hear any obvious artifacts at first listen. I personally prefer the Cities in Concert expanded set and revised tracklist with different Equinoxe Part 5 that is more smooth than In Concert aggressive version, also transition effects were made more interesting and smart. But for some fans this can be a nice item, because this recording was not used since 1991 golden set. 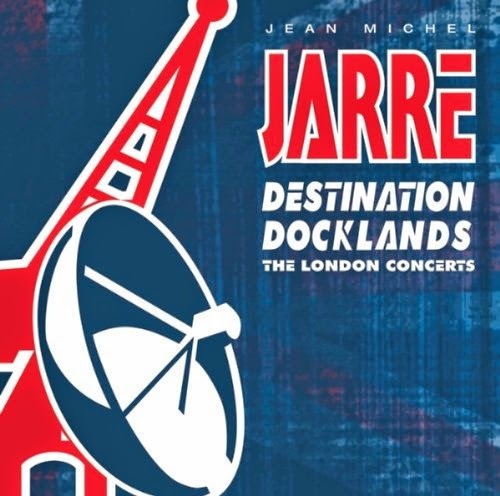 Would like to have seen concerts like Destination Docklands, Houston and Paris La Defence in their entirety to give them the full respect they deserve as Jarre will most likely not perform a show like Docklands in the UK again (quite frankly I don't blame him after the total debarkale with Newham Council. Awesome concerts shot my Mike Mansfield most likely to film so would HD up very nicely - I guess it's a matter of cost, copyright, quality of material. i agree with Mike about the new remasters. Beside the 1997 ones are too loud in the low frequencies and too weak in the highs.